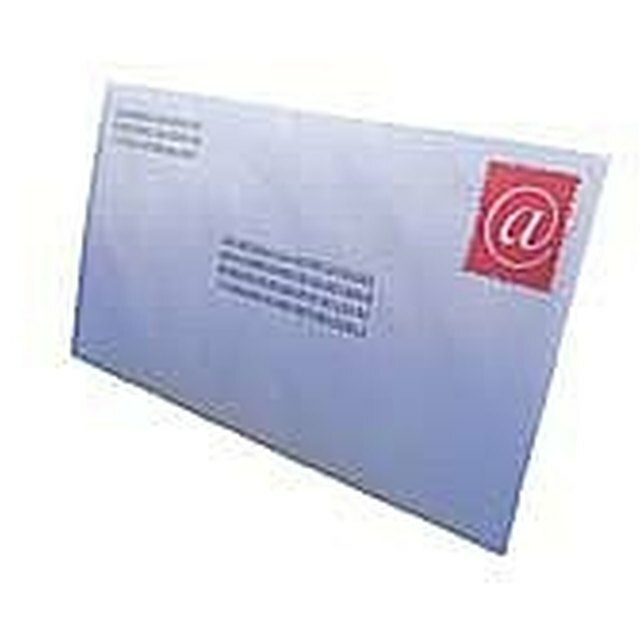 Properly address your letters to ensure they reach the intended destination. In this high-tech world, many people have little use for sending regular, ordinary mail, such as letters and items deemed as "snail mail," through the United States Postal Service. While email, instant messaging, texting and video chat are prevalent forms of communication, there are still times when you'll need to send a letter or package through the mail. You must be able to format the address on the envelope or package correctly for your piece of mail to reach its destination in a timely fashion. Add the recipient's street address below his name or company. Use numerals to write the house or building number, followed by the name of the street. On the same line, add an apartment or suite number, if applicable. Start a new line and write the recipient's city, state and ZIP code. In the upper left-hand corner, print your own address. 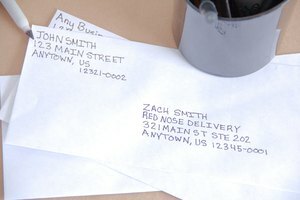 This needs to be put on here in case something happens in transit and the USPS needs to forward the letter back to you. Write your name on the first line, your street address on the second line and your city, state and ZIP code on the third line. Affix postage to the upper right corner of the envelope. One first-class postage stamp is good for 1 oz.. Additional postage is required for larger weights or irregular shapes. 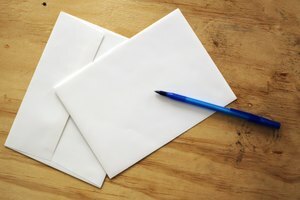 It's acceptable to write your return address on the back of the envelope. Draft it in the same order as you would if you were writing it on the front. 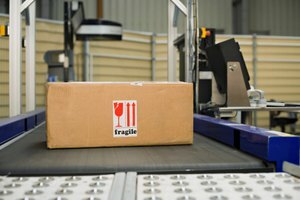 Use the space to the left of the postage stamp to affix any labels for extra services, such as insurance or tracking labels. Contributor. 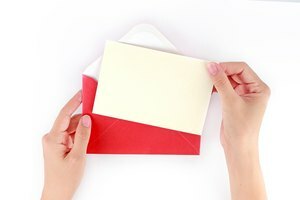 "How to Properly Address an Envelope for the Mail." 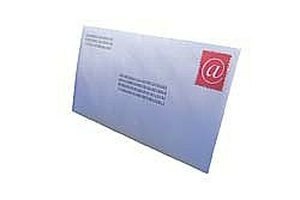 Synonym, https://classroom.synonym.com/how-to-properly-address-an-envelope-for-the-mail-12078456.html. 29 September 2017.